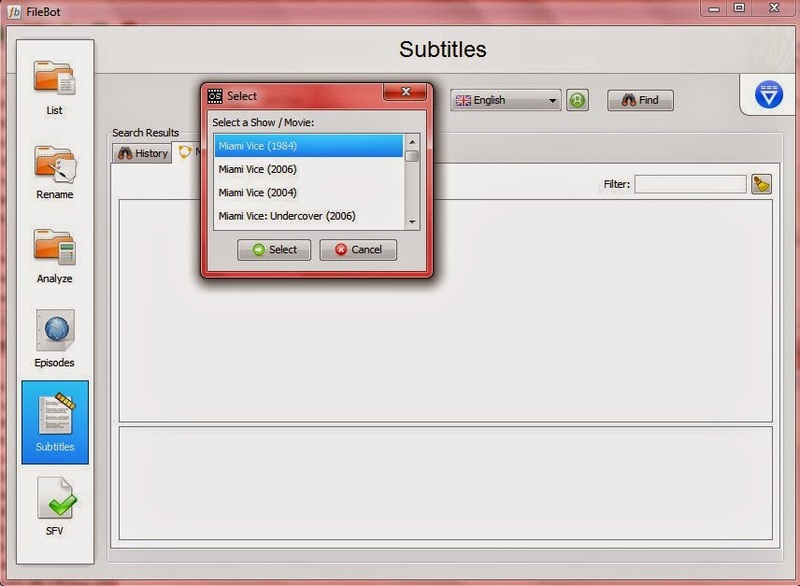 I will show you a nice way to get sub title to work propely on an tv serie or movie. 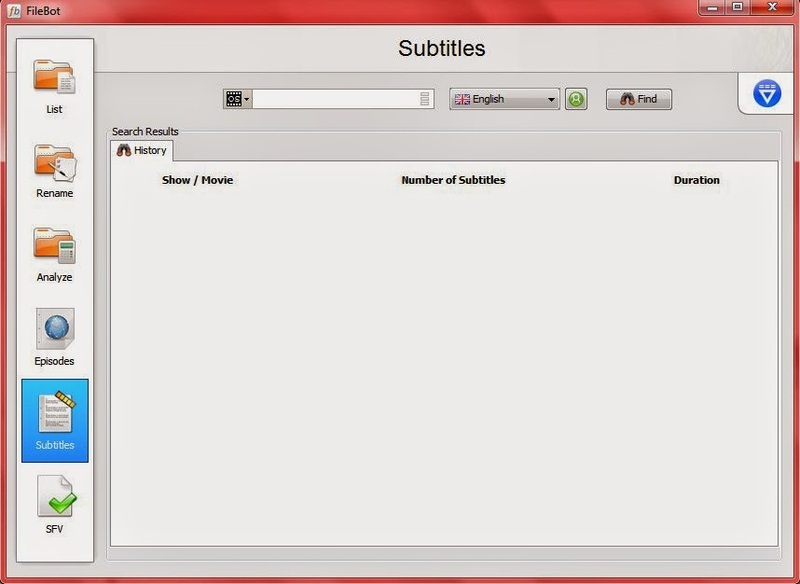 Now i find subtitles i need on the list. then i use left mouse button and download. Then you get the files in the window below. 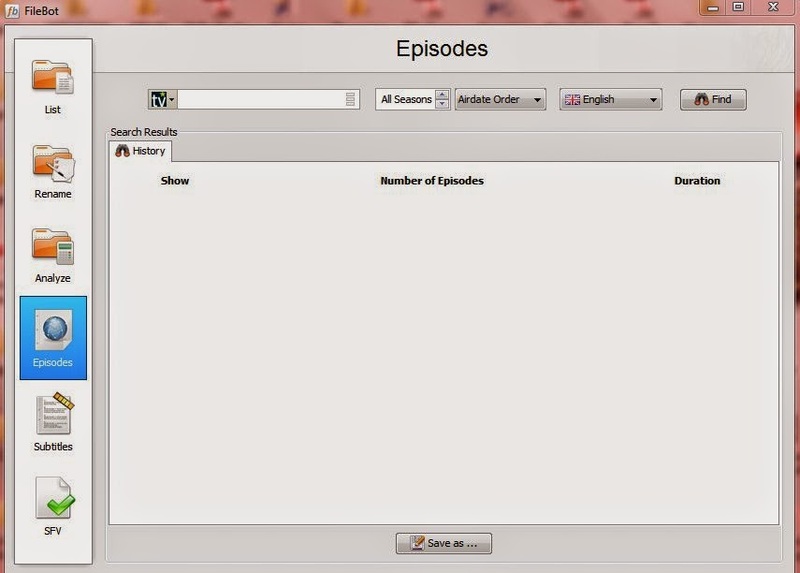 Mark the subtitles and store them in the folder you have your tv serie. But when i download the subtitle i want then to start right away when i start watching. 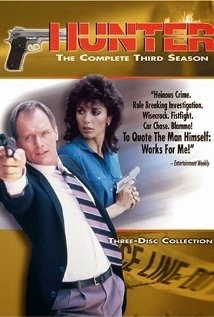 And many times the subtitle has a name that not is comparable to the episode file. 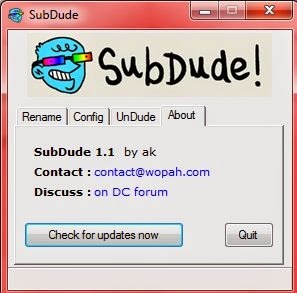 And here is where SUBDUDE go in. This is the start window. And go to you folder where moviefiles and sub files are stored. Now hit GO and subdude. 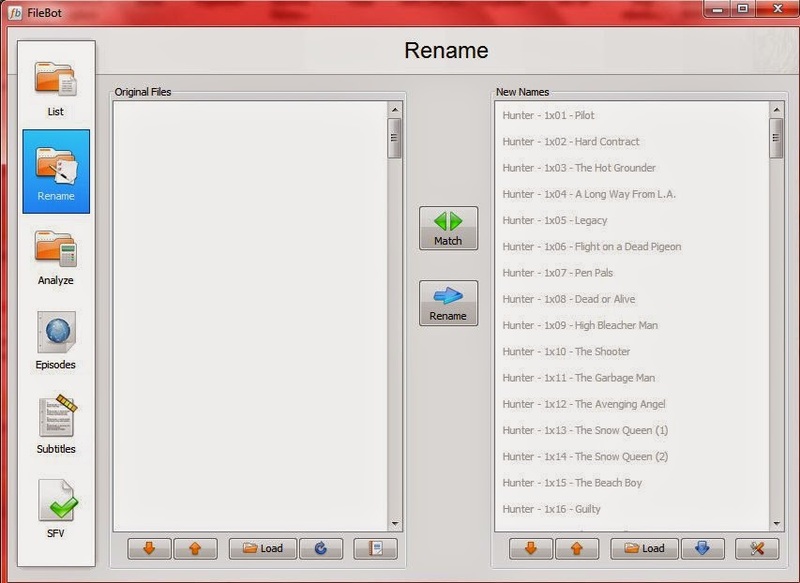 Then just rename files same as the movie file. 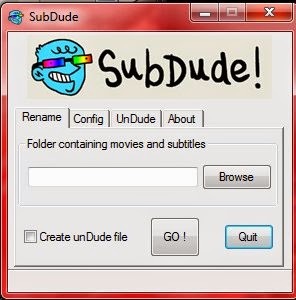 An now your subtitlefile will start same as the movie file. And when you are done it should look something like this. Also filebot is a tool that is great for other things. 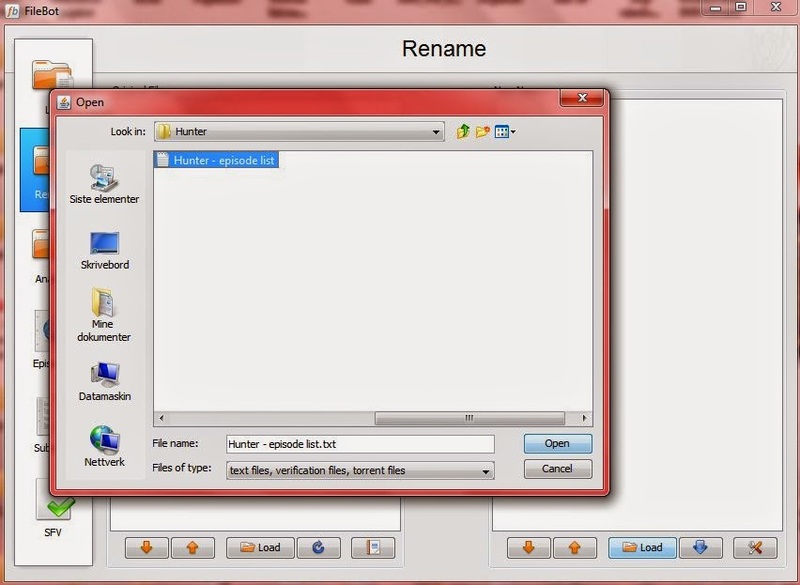 Rename files to how they really should be called. 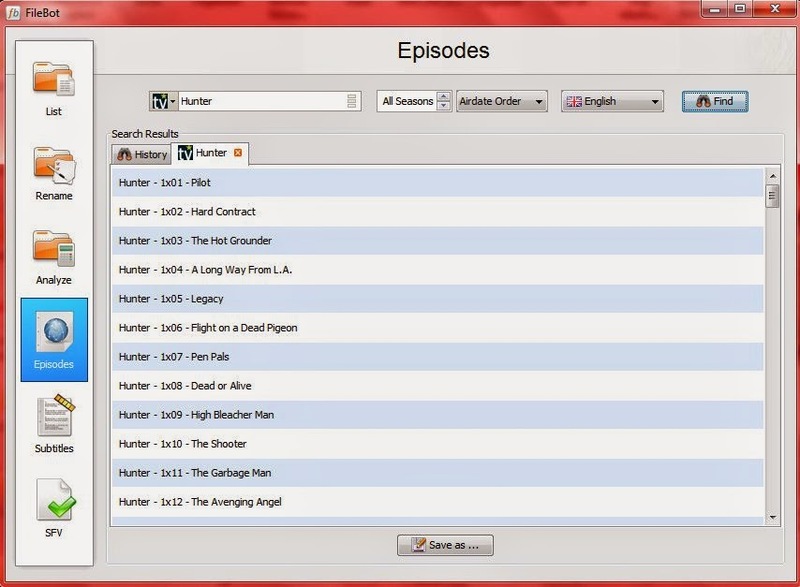 I want to find the complete episode list for an old tvshow called Hunter. Now store this file in folder you want the list for. 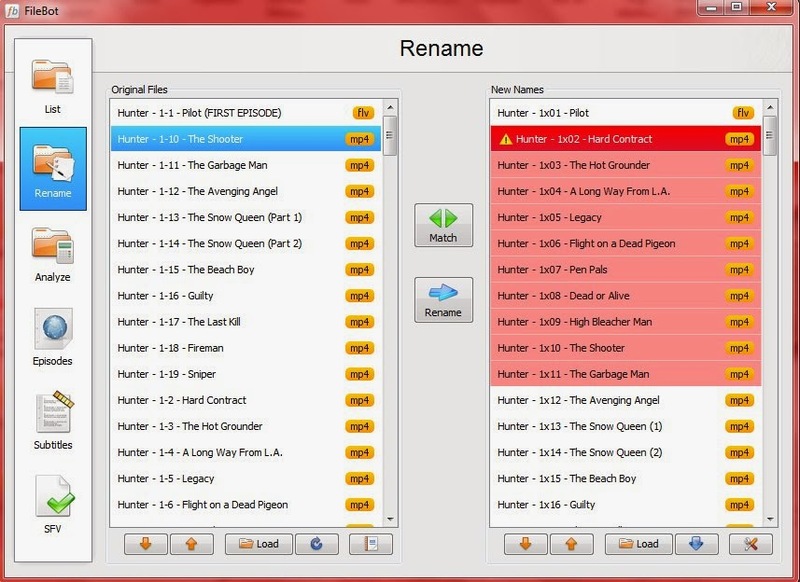 Because now we going to rename all the files thathas the wrong name.Also it is great to have a list from all tv show you buy. Now let us rename a show. 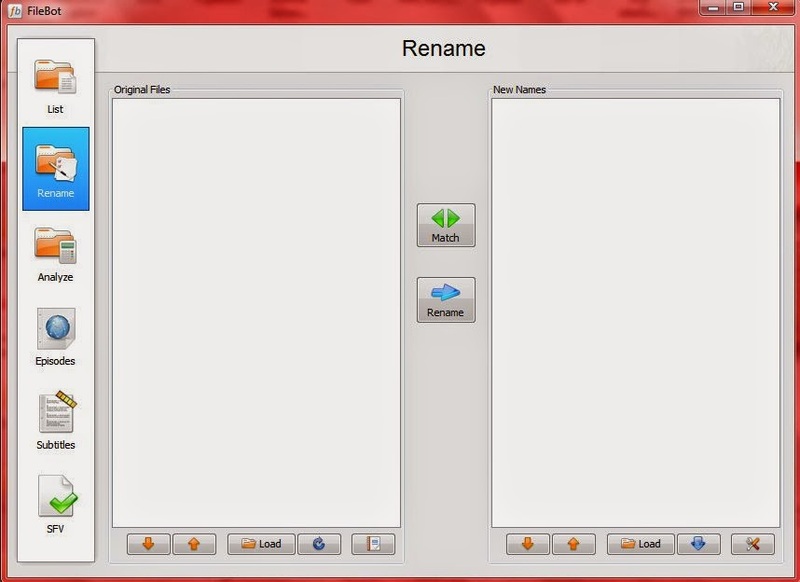 Now we are going to use our txt file we just have downloaded. 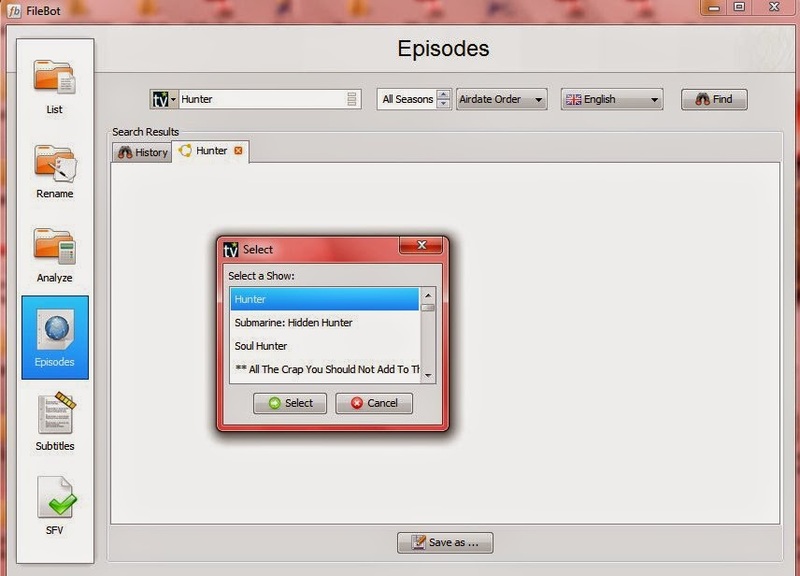 Choose our file - Hunter - episode list.txt. Now you see the txt fil with original name on right side. You now have to load the movie or episode fil on the right side. Now you need to fix like all files are in order. Like 1,2, 3 is in left place on the right side. If any errors you get like me an red field on right side. When all files are in order. 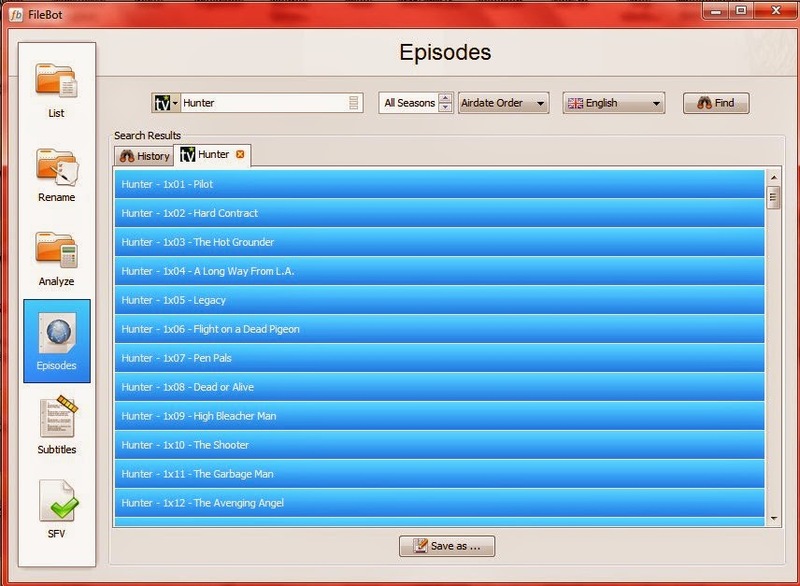 And now you have episode files like the "original"
Filebot is an great to to find how many episode there is in a tvshow. Hope all enjoyed today blog post.